Canoes, kayaks, standup paddleboards and rafts all belong to the category of manually propelled vessel commonly referred to as paddlecraft. 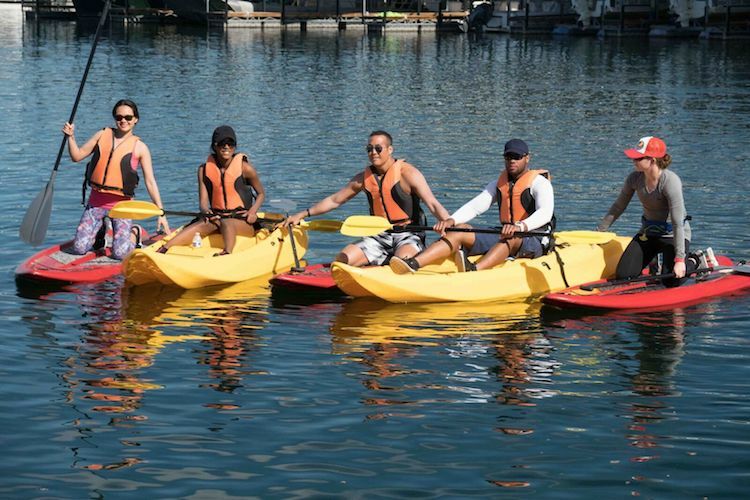 Paddlecraft are available in different types often designed for a specific activity, waterway, and performance. The various design characteristics of paddlecraft, Length, Beam, Depth and Hull design affect their speed, maneuverability, and stability. Generally speaking longer paddlecraft have greater speed and better tracking. Shorter paddlecraft are more maneuverable. Wider paddlecraft provide greater stability, but tend to be slower. Narrower paddlecraft provide less stability, but tend to be faster. Hull designs such as flat, rounded, shallow arch and shallow vee also affect performance. 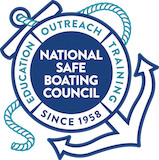 It is recommended that in addition to a basic boating safety course that the operator takes paddlecraft specific instruction. Recreational paddlecraft are designed for leisurely day trips on calm rivers, lakes, and open water. They provide good stability and maneuverability, and are a good choice for beginner paddlers. Touring paddlecraft are designed for water conditions ranging from calm lakes to moderate whitewater or sheltered coastlines. They are longer and narrower than typical recreational paddlecraft, increasing speed and paddling efficiency. Touring paddlecraft provides less stability when resting flat on water, but give greater stability when underway. White-water paddlecraft are designed for running white-water rapids and crossing currents. They are shorter boats, and have rockered hulls to provide extra maneuverability and help keep water out of the boat. A stand-up paddleboard or just SUP is similar to a surfboard. In addition to the board’s length and width the paddler will want to look at the board’s volume and weight capacity, core material, fins, and SUP accessories like the leash and paddle.